The Zetas have long predicted that increased visibility of the Planet X, aka Nibiru complex would be present during the 8 of 10 phase. We last addressed the increased visibility prediction in Issue 358 of this newsletter in August, 2013. ZetaTalk Prediction 2/2/2013: The 8 of 10 is a long and oppressive phase, not over quickly within months. During the 8 of 10, mankind will be aware of the pending passage, whether there is an announcement by NASA and Obama or not. 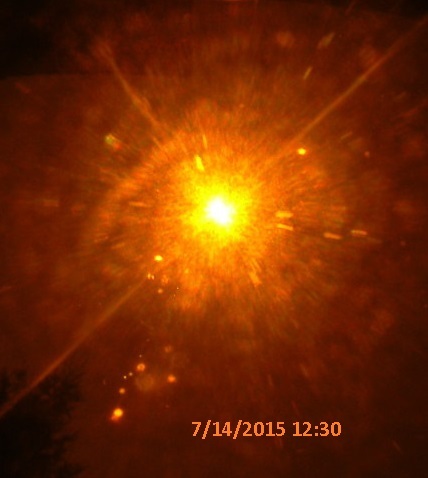 We have described an increased visibility of Planet X, aka Nibiru and its components during the 8 of 10. But has this not already arrived to some degree? One can scarcely go on YouTube without being flooded by videos of Nibiru, aka Planet X and its Moon Swirls. For the 8 of 10, as it progresses, Planet X will be positioned more to the right in the line of sight, so that sunlight will bounce off the dust cloud clinging to and thus shrouding Planet X, supporting dramatic Second Sun sightings on a daily basis, worldwide. Where are we two years later? Alberto’s photos are more stunning than ever. The moon ridden tail of Planet X splays out from the Sun toward the Earth in dramatic fashion. 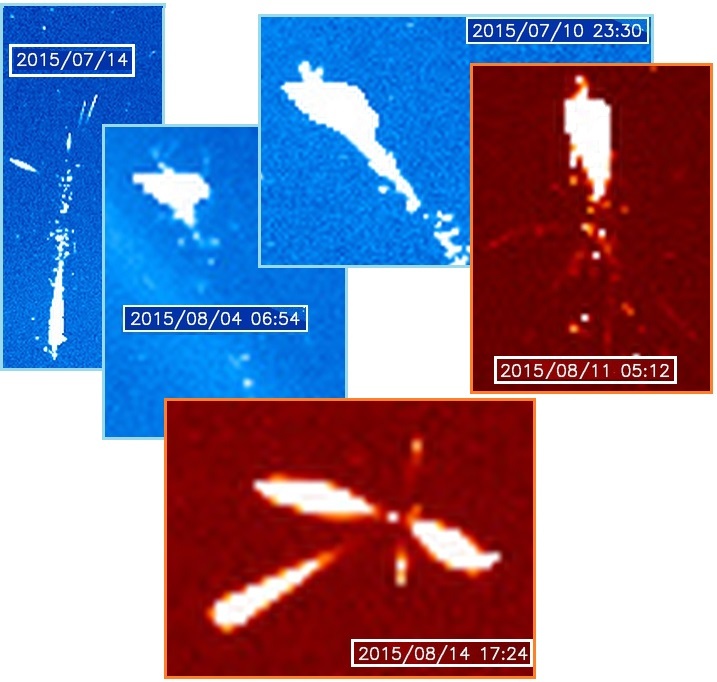 The Planet X, aka Nibiru complex is showing up regularly on SOHO, despite efforts by NASA to edit this evidence away. This can be seen on the Pole Shift ning blog dedicated to this issue, the Moon Swirls of Planet X wafting about between the Sun and Earth, caught by the SOHO satellite which orbits around the First Lagrangian Point there. 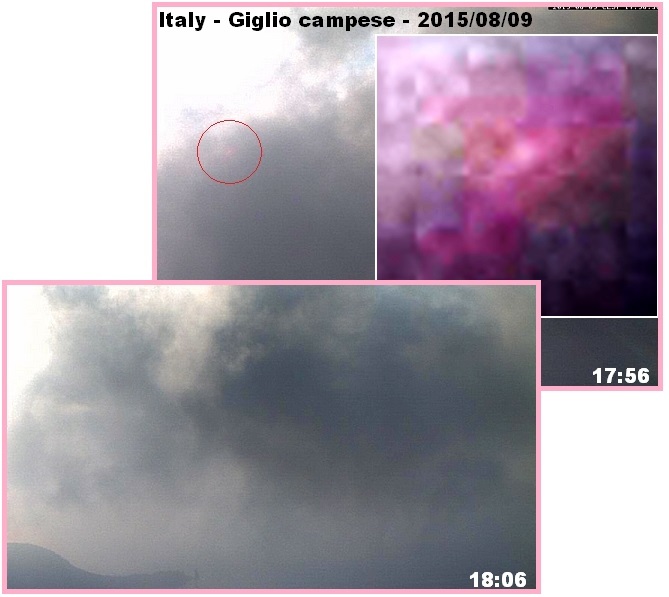 Daily images of the complex from an Italian webcam are also being posted on the Pole Shift ning. Nibiru and its two dominant Moon Swirls on either side, seen as a double helix, can be seen through the wispy clouds in the distance. Sunset clouds appear gray on the horizon, even when wispy, due to the angle of light reflection. Thus the complex can be seen except when the clouds are dense. 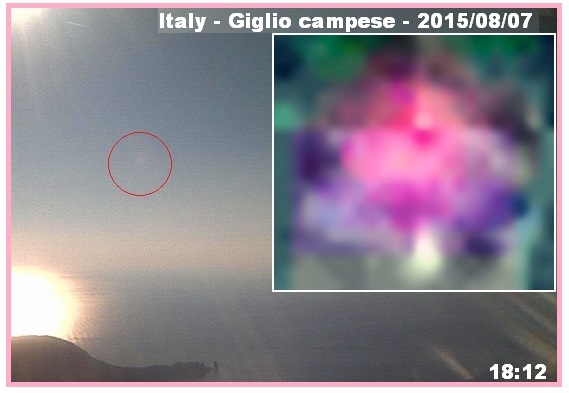 This shows that the pink object on the webcam captures at sunset are not a reflection on the lens, but are out in space at the 4 o’clock position to the Sun. Survival tips are periodically featured in this newsletter. The last time a comprehensive overview was presented was in Issue 364 in September, 2013 which touched on eating weeds, a lysine rich vegie diet, gardening and saving seed, urban gardens, keeping chickens and goats, farm guards, eating rats and bugs and earthworms, passive distillation of water, home-made windmills, and houseboat living. In partnership with USAEBN a more comprehensive survival tip list will be presented on September 7, 2015 and as usual this will roll to a YouTube documentation of the show. I anticipate covering the following subjects. Anticipate needing to start a fire. Flashlights batteries will burn out, and matches are a finite supply, but a little dry kindling and an old BIC lighter flint will last. No BIC lighter? Halcon shows how easy it is to use friction. Get his handbook online. In that the grid is likely to be down, the mechanics and electricians in the group will want to construct wind and water mills to gen electricity. This subject was well covered recently on the March 2, 2015 USAEBN show. Water will be polluted due to broken or overflowing sewer pipes and volcanic dust on surface water. Drinking and cooking water must be cleaned of heavy metals such as lead and mercury and parasites that would cause dysentery or cholera. Your supply of filters will run out, as will your supply of bleach. In any case, bleach and filters will not remove heavy metals. Distillation, long recommended by the Zetas, will remove heavy metals and the boiling process kills and removes parasites. Modern man expects to get his protein from meat, fish, eggs, milk, and perhaps vegies like soy. What if these sources are not available? What if the grocery store shelves are bare and travel on broken roadways is impossible? 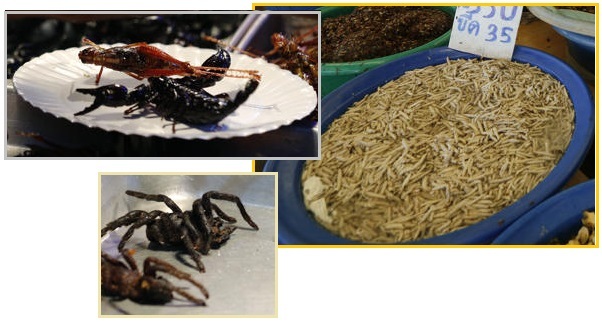 Many cultures eat bugs as a delicacy, as they are high in protein and fat. In fact, raising bugs and grubs and worms as food is cheaper than raising cattle or chickens, a more efficient use of feed. And remember, shrimp and lobster are in essence bugs. 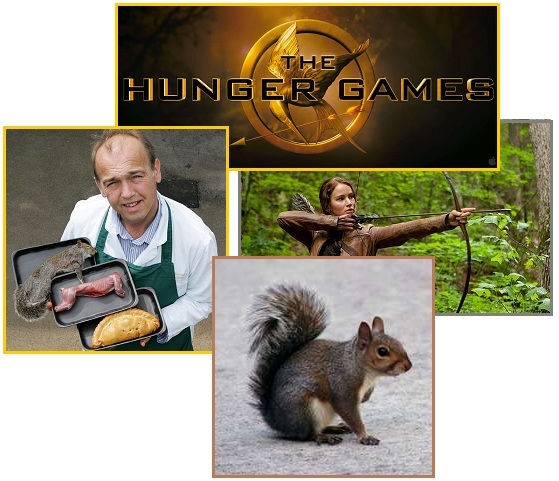 Wildlife will be hunted almost to extinction, but during the Revolutionary War squirrel was a staple. Remember the Hunger Games? Rats are eaten in many cultures. Add their meat to the soup pot and eating rats will not even be noticed, as the Finegan Fine story relays. 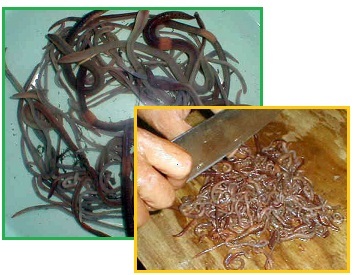 Did you know that earthworms are 82% protein? And their essential oil is Omega3, equivalent to fish oil. Chop, rinse, and add to the soup pot. Raising them is easy, done in a vegies only compost pile. Remove the egg casts for the garden, as the egg casts will stop reproduction, preventing an overpopulation of worms. Red wigglers make the best worms for your earthworm production compost pile. What to do when the Vitamin bottle is empty and scurvy has started gums bleeding? 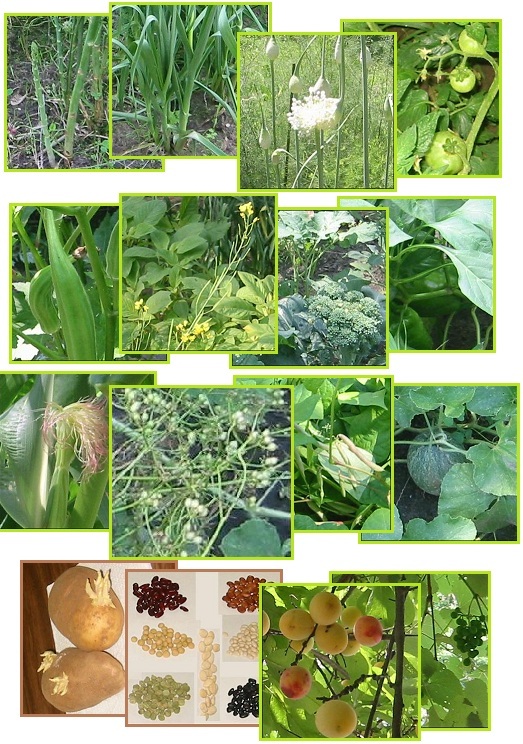 You are surrounded by vitamins and minerals in the edible weeds that grow everywhere. Get a good handbook. 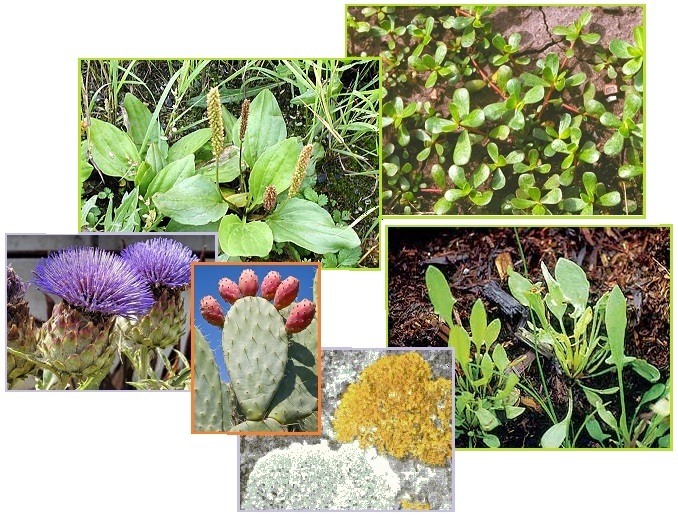 Plantain and Purslane is high in Vitamin A, Sheep Sorrel and pine branch tips high in Vitamin C, and plants such as Prickly Pear, Dandelion, Thistle, Moss, Lichen, and Cattails are entirely edible. Mushrooms too are edible but get a good handbook. Eating a poisonous mushroom is no picnic and can be fatal and at minimum a miserable experience. Seaweed is eaten regularly in Japan, harvested from the beaches where it washes ashore. 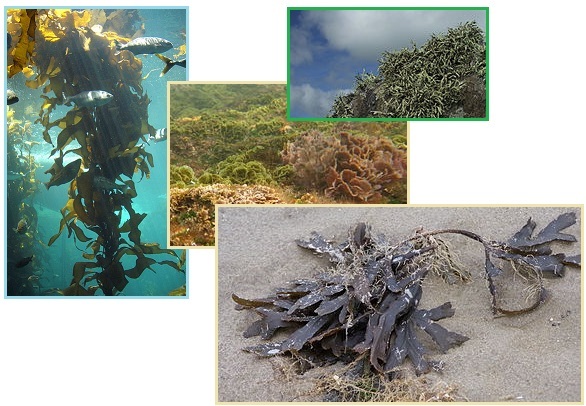 Where most algae is edible, be aware that some algae such as the Red Tide is poisonous, as is an anaerobic Cyanobacteria bacteria that can lurk in large green algae growths in stagnant water. Duckweed has more protein than Soy. 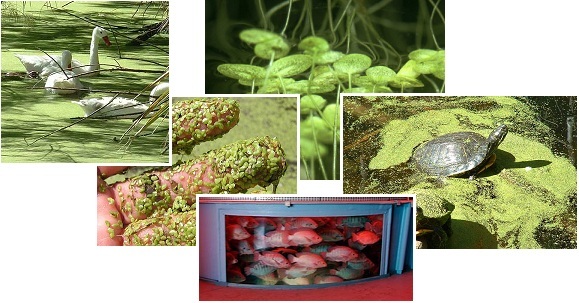 Duckweed is found worldwide and is actually a tiny water plant, considered the smallest flowering plant. It can be eaten by humans as well as ducks, and feed fresh water fish such as Tilapia. An enterprising company has determined that dried Duckweed can be made into a protein powder called Lentein. 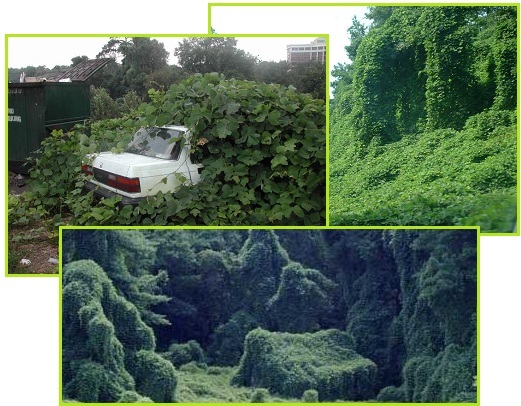 One plant that deserves special mention is Kudzu, considered the scourge of the Southeast US where it climbs over houses and cars, flattening forests. A relative of the pea plant, Kudzu is entirely edible from the leaves to the tubers, and puts nitrogen back into the soil. The leaves can be fodder for cattle. As this chapter in the Finegan Fine story asserts, a survival community could survive nicely on Kudzu alone. The kudzu has covered several trees, which form spires, and has covered the remains of some houses in an abandoned subdivision, the shape of the rooftops barely discernible. They see an even more amazing sight - the remains of a car recycling junkyard where cars have been piled high after being crushed. Children and adults are climbing down the vines, hand over hand and putting their feet against the rusting crushed cars underneath the vine cover. The piles of crushed cars, topped with cars as living quarters, and the kudzu cascading down the sides of the piles, all now covered with creeping and hobbling residents, look a bit like an anthill under an evacuation. 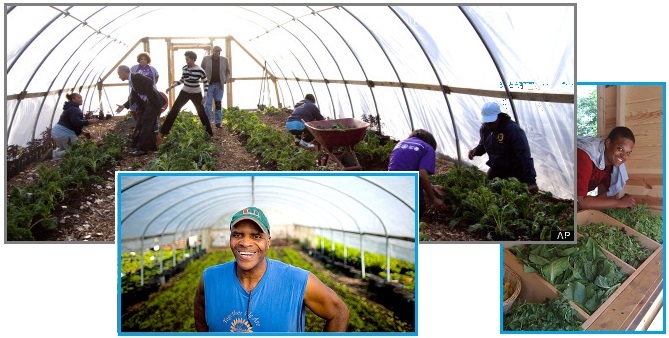 Most communities will plan to get into traditional gardening, buying seeds and equipment in preparation for that day. What might be forgotten is that seed may not be for sale in the future, when the shelves are empty, the Internet down, and shopping just not possible. Learning how to save seed is of prime importance. Many garden plants present their seed in a dried form if allowed to mature fully. Allow those plants to be used for seed to mature to the point where the fruit is so fully ripe it is almost rotting (Tomato, Bell peppers, Melons, Eggplant) or the seed pods are bone dry (Beans, Raddish, Okra, Corn). Tomato seed has to have the slime removed by white mold or it will not germinate. Lettuce seed will fly away if not harvested regularly. Spinach plants are male and female and both must be present. Onions and Cabbage are biennial, so must winter over or be kept in a root cellar before the seed stalks will arrive. Related plants will cross pollinate so only plant one type of squash per year, for instance. Garlic must be sown as a clove as it has lost the ability to reproduce by seed. Same with Potato. Cut that seed Potato into pieces and plant. Strawberries propagate by runners, which produce separate plants at their ends. Both Potato and Tomato are members of the nightshade family, so do not eat the leaves or feed them to livestock. Get a good book and get educated! For those survival communities that do not have a ready source of protein, take note that certain plants are high in Lysine, the essential plant protein that allows vegetarians to be healthy. Buckwheat, Soy, Peas, Legumes, and Amaranth are highest in Lysine. 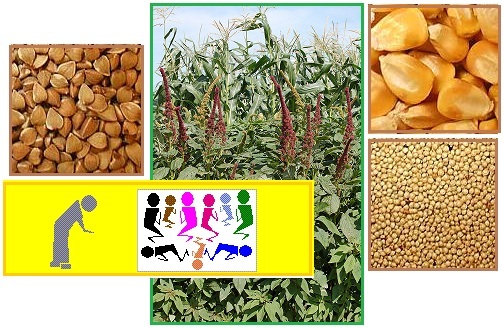 In fact, Corn and Amaranth together provide the protein equivalent of red meat, as the Orphan Mistress in this Finegan Fine story relays. No survival site would be complete without chickens. 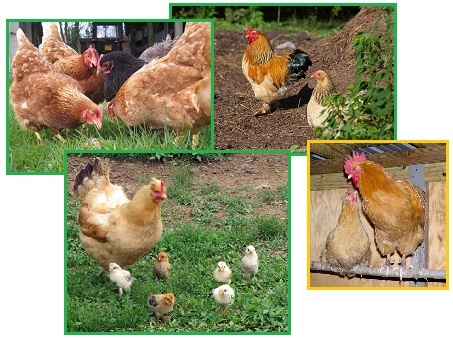 They only need a coop to protect them from predators, an opportunity to free range to hunt for bugs and worms, water, and sunlight for Vitamin D. In return they provide eggs and chicken meat. I kept chickens for a few years and can attest that one becomes very attached to them. A flock of hens will usually have one hen that is the brooder, and all the hens lay their eggs in her nest for a communal hatch operation. We fed them melon rinds and they consumed them all. Feed the egg shells back to the flock for the calcium. Got rotting road kill or entrails? Don’t bury that, let the flies lay eggs and put the mess in a plastic container. When the mess starts to writhes, full of maggots, spill it on the ground and let the hens feast. Roosters, by the way, are natural protectors and will attack people if not familiar. They are natural farm guards as are donkeys and geese. Goats are another easy addition for survival communities. They follow the herdsman around, unbidden, and eat anything, including poison ivy. Goat manure is easy to transport as it is delivered in pellet form, not sloppy. Why keep dairy cattle when goat milk is superior! Stuck in the city so feel you can’t garden? Nonsense! Look at what Growing Power in Milwaukee did. They not only compost with earthworms, in essence creating soil, they market their produce! The CEO of Growing Power has become an in-demand consultant as a result. This works! 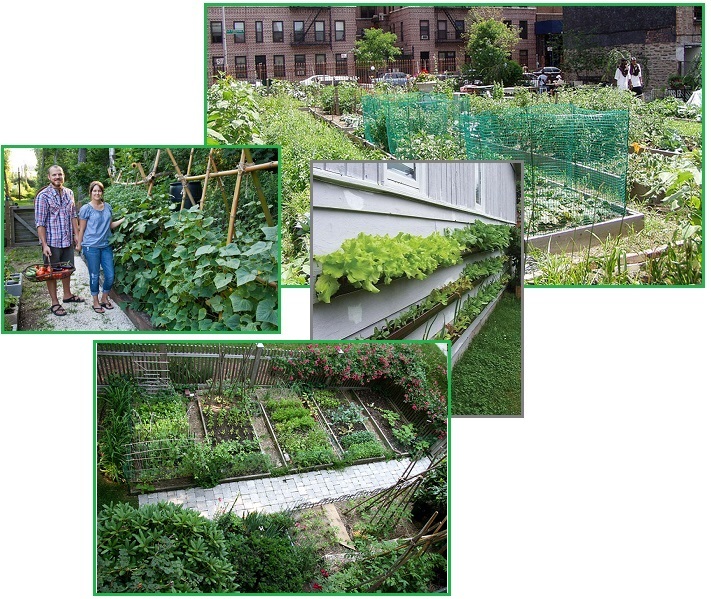 Many cities have urban garden space, or allow roof top gardening or container gardening. If all you have is a patio or even just a sunny window, get into it! High tech gardening with hydroponics is possible too, which provides a garden free from any volcanic dust or raids by the wildlife. Water can be reused, and when the store bought hydroponic nutrient solution runs out, watering the earthworm compost beds will produce a brown nutrient solution runoff equivalent to the store bought version. I know, as we did this in the Troubled Times labs and leaf for leaf, blossom for blossom, the results were equivalent. 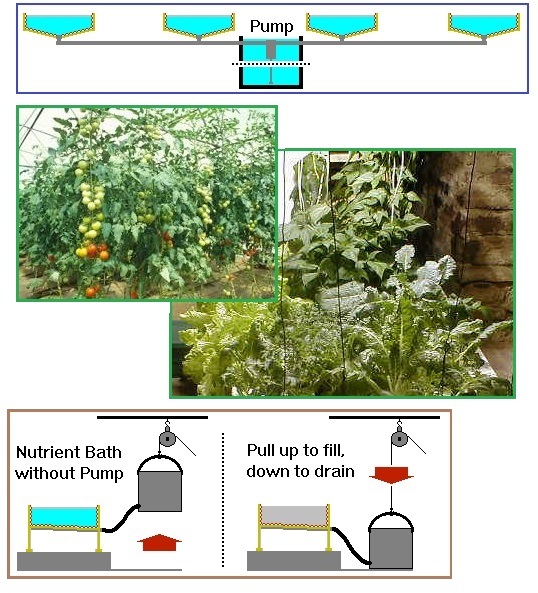 High tech hydroponics assumes you have electricity for a pump and lights. But a simple manual system using gravity, lifting a pail a couple times a day, works also. Full spectrum lights are required if no sunlight is available, but what happens when all the light bulbs have burned out? Carbon arc lamps, used today for film production in Hollywood, is a full spectrum light that turned the streets of London into day a century ago. 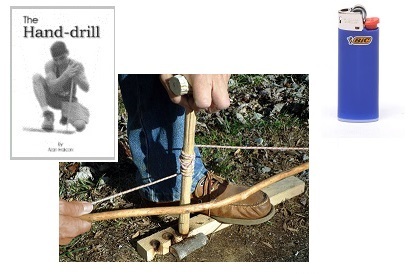 Direct current is required, and for the carbon tips, even pencil leads can be used. Setup a windmill and have an earthworm compost pile and you are in the hydroponics business! Survivors will surely miss their daily shower, but the more urgent issue is what to do about a lack of soap and diapers. 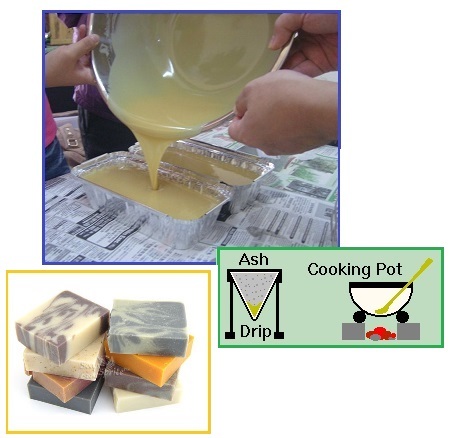 Soap can be made from water drained through wood ash, which is caustic, and animal fat. This is cooked to boil it down and then poured into molds. 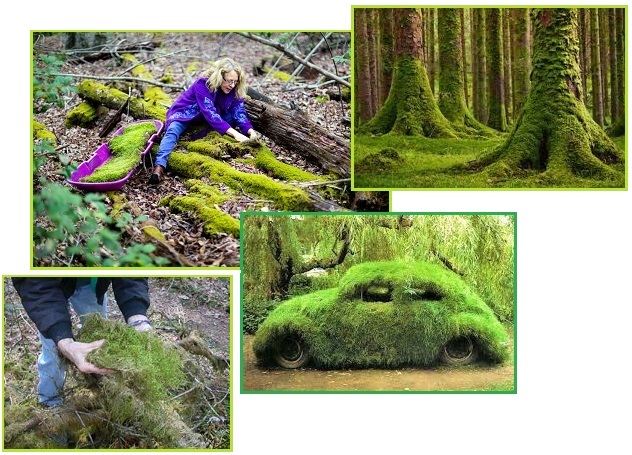 Moss makes a perfect diaper filler and works for feminine hygiene too. What about contraceptives? There is of course abstinence, or having oneself sterilized ahead of the Pole Shift, but does Mother Nature have a safe and natural contraceptive? She does indeed. 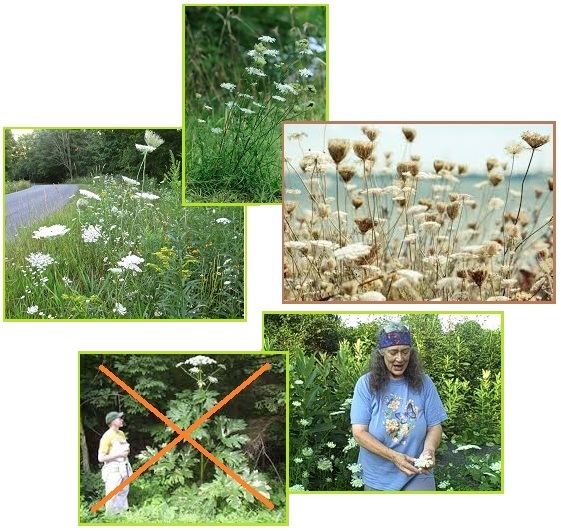 The seeds from Queen Anne’s lace, a common weed growing throughout the world, works as a morning after pill. Known in antiquity, for instance among the Egyptians, for its effectiveness. Modern day tests among feminist have shown it to be 100% effective when seeds are munched the morning after, and when one desires a pregnancy the pregnancy is normal with no untoward effects from having used the contraceptive routine. Seeds are harvested from dry seed heads. Note that some blistering plants are a look-alike. Giant Hogweed has a similar white flower but is huge. Wild Parsnip has a similar size but has a yellow flower. When the pharma meds run out, you should be well versed in herbal medicine. Get a book and plant your garden well ahead of time. I can personally vouch for a compost of Comfrey leaves building skin on a patch of raw flesh in just three days. This raw flesh had no skin on it for a two month period, until the compress was tried. Three days! Get a book and plant your herbs! Picking up the pieces to build a new shelter will give survivors lots of options. As long as one has hand tools then creativity should know no bounds! Fill old tires with dirt for an insulated wall. Tents for temporary housing are great, and if not enough to go around, use a tarp. If the waters are rising around you, build a houseboat. 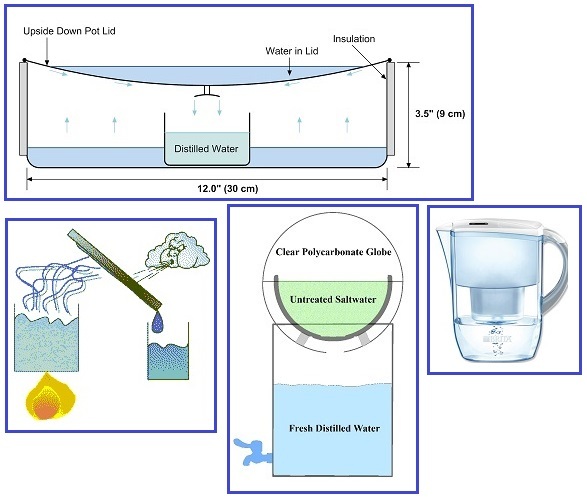 Floatation devices can be constructed or one can use a sealed steel drum or a bunch of plastic bottles. As the coastline changes during the rising seas anticipated after the Pole Shift, one can pull up anchor and move along the coastline. This is featured in the Finegan Fine story, where Finegan is a trader running up and down the flooded riverways. The humidity and Spanish moss hanging from the trees on the Georgia coastline is not unusual, but the fact that the coastline is flooded is unusual. Rooftops and treetops are sticking out of the placid water, which is lapping gently on suburban lawns. A houseboat is floating nearby, tied to a sturdy treetrunk sticking out of the floodwaters. And the houseboat is immensely cluttered. Bins of vegetables are stacked one on top of the other and side by side. 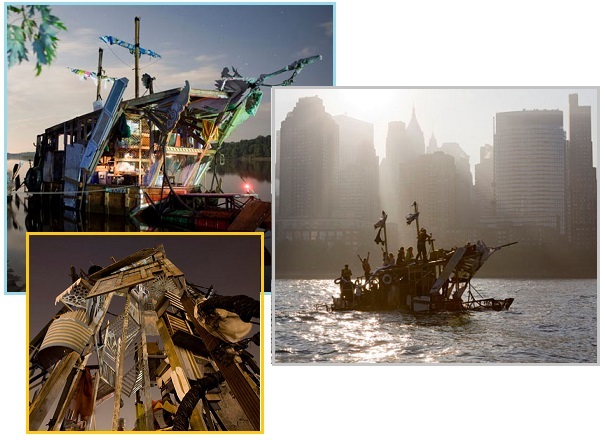 Engine and mechanical parts are heaped in piles on the corners of the houseboat, placed for balance. There are pegs everywhere a peg can be placed, where loops of fishing line, wire, and rope are hung. Boxes are stacked, smaller boxes on top of larger ones. Some of the wooden boxes have pull-out drawers. Large plastic containers are stacked here and there, but only a few are labeled. Folded tarps are on top of one pile, topped by fishing netting flung there to dry after a night's catch. Poles have been placed on the four corners of the houseboat and lines are strung from these poles to the single story house in the center. On one, some fresh fish, gutted and headless, are hung by the tail. Tired of holes in your jeans? It will take time for all the clothing to wear out, but survivors should be thinking about replacement. Traditional fibers used for clothing and blankets are from linen, cotton, and wool. 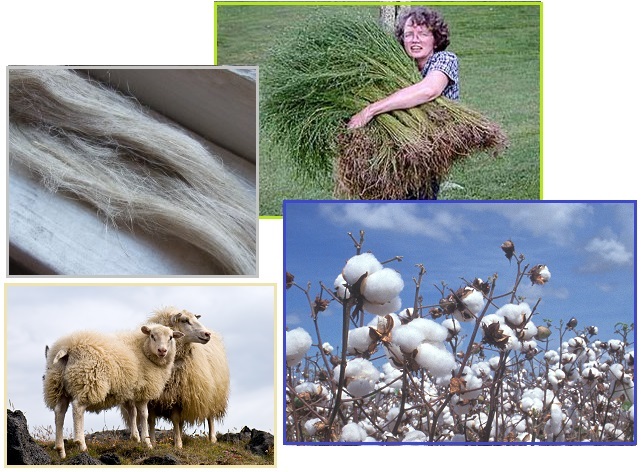 Cotton and wool are combed to straighten out the fibers prior to spinning into threads or yarn, but linen must be soaked to rot away all but the fibers. Construction specs for spinning wheels and looms are available although these are also offered for sale on the Internet. Leather is another option, with instructions on how to cure and scrape skins available.